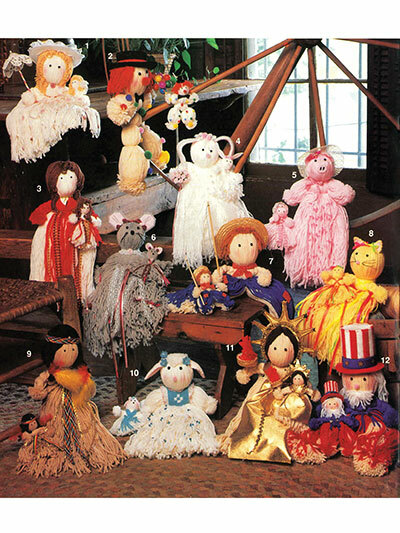 12 large dolls with a matching miniature doll. 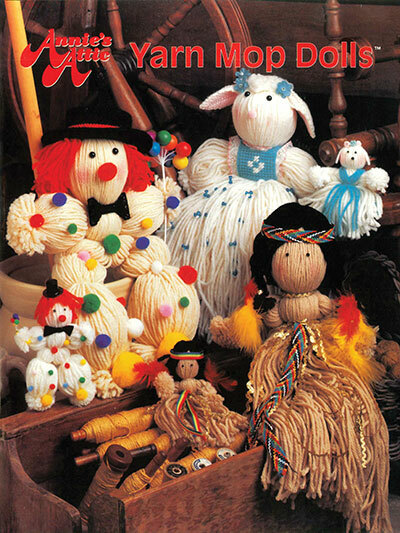 These cute dolls are made using worsted-weight yarn. They are fast, simple to make, and are great for bedroom decor or as toys for curious children. This set includes Mouse, Wedding Rabbit, Cat, Fisherman, Lamb, Uncle Sam, Fancy Lady, Pig, Statue of Liberty, Indian, Victorian Lady, and Clown. Sizes: Small: ranges from 8̎H - 5 1/2̎H; Large: ranges from 19 1/2̎H -15̎H.